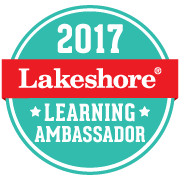 Need a quick and easy activity? 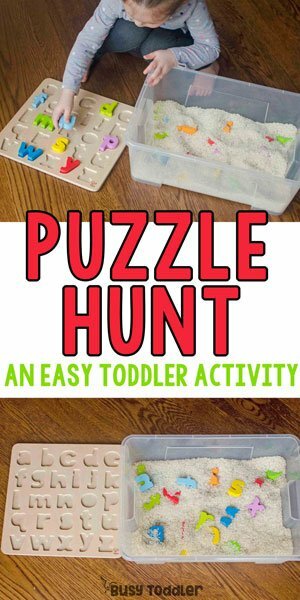 Try this puzzle hunt sensory bin! Give me a toddler and a rice bin ANY DAY because those two are like peas and carrots. You wouldn’t know it from the outside that dry rice and toddlers are MFEO (made for each other) but they totally are. 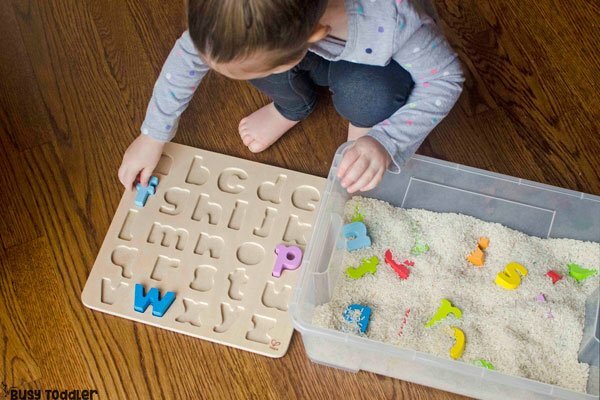 Toddlers love a good rice bin moment and this puzzle hunt sensory bin is amazing for all the right reasons. Rice bins are THE BEST with toddlers and one of my favorites. I’ve dyed rice rainbow, we’ve added our trash to it (clean, recycled trash), we’ve even put it into a kiddie pool for one massive rice bin. The takeaway message: rice bins are awesome. 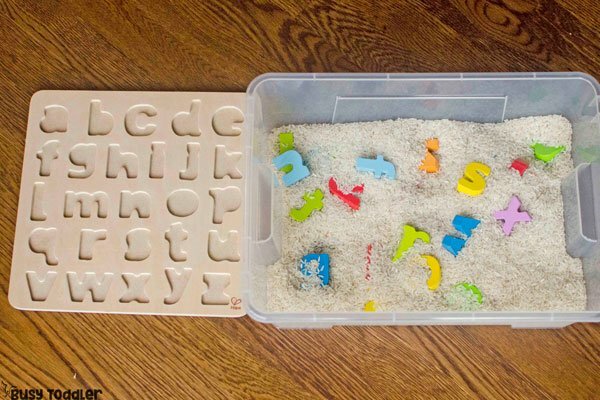 Making a puzzle hunt sensory bin is super easy. 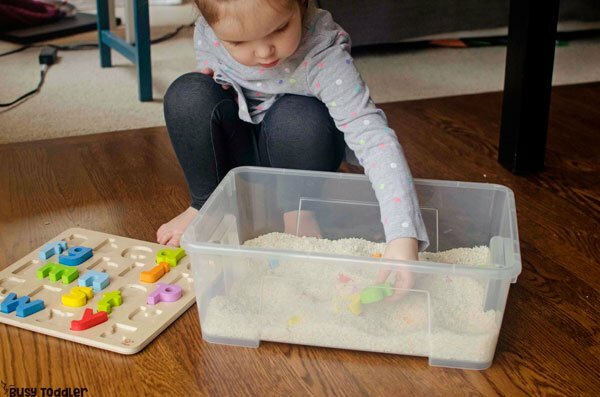 But how can you take these sensory bins up a notch? How can you make something so fantastic even more fantastic? By adding in your toddlers favorite puzzle that’s how. 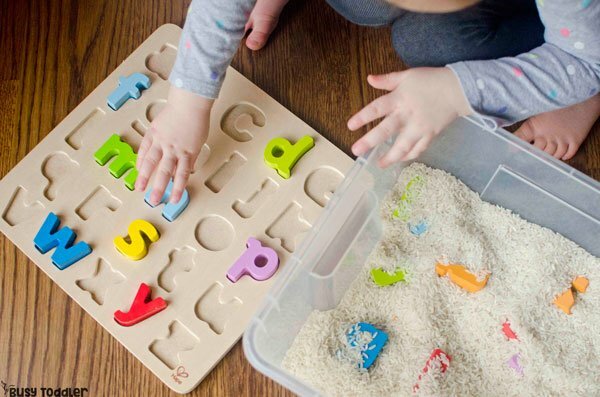 I used alphabet letters, but this shape version from Fun with Mama is awesome too! 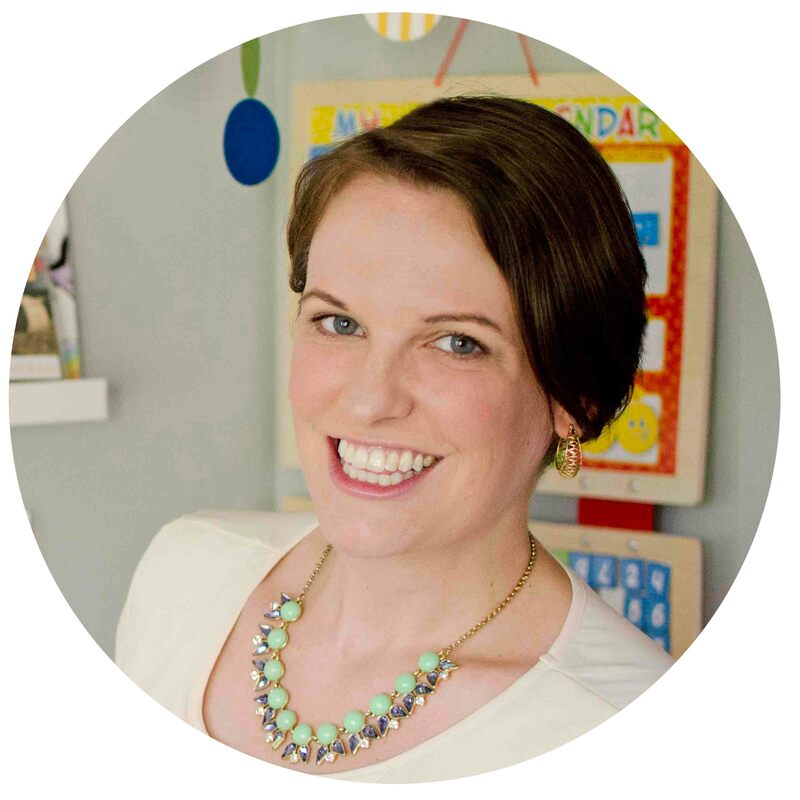 So what I’m saying is: give sensory bins a chance just like you give dinner a chance every night (wink). But what about THE MESS. There really wasn’t one. I need a dust pan to sweep the droppings up. My quick, quick set up. I took the rice and dumped it into a storage container that’s just a little bigger than a shoe box. I’ve had this rice for about 2 years now and it’s doing great all sealed up in a Ziplock bag. Looks like a simple activity, right? Except, that I turned this into a 3-part activity. First, my 2.5 year old helped me hide her puzzle piece – she took almost 5 minutes to do this, carefully burying each letter and deep in imaginary play as she worked. Second, the actual activity: find the puzzle pieces and get them back into the puzzle. Third, free play at the end. Opening this up to free play is where it’s at! Once she had finished – her little imagination took over. 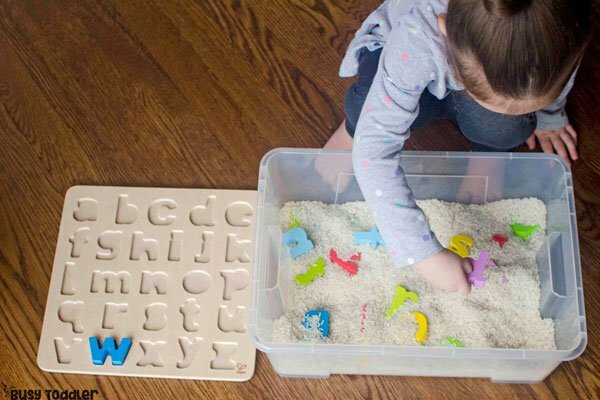 She built “sand castles” with the letters, found and reburied them, apparently letter W and letter P couldn’t find their babies… It was a whole big production that last 20 minutes . TWENTY MINUTES with a bag of rice and a puzzle. 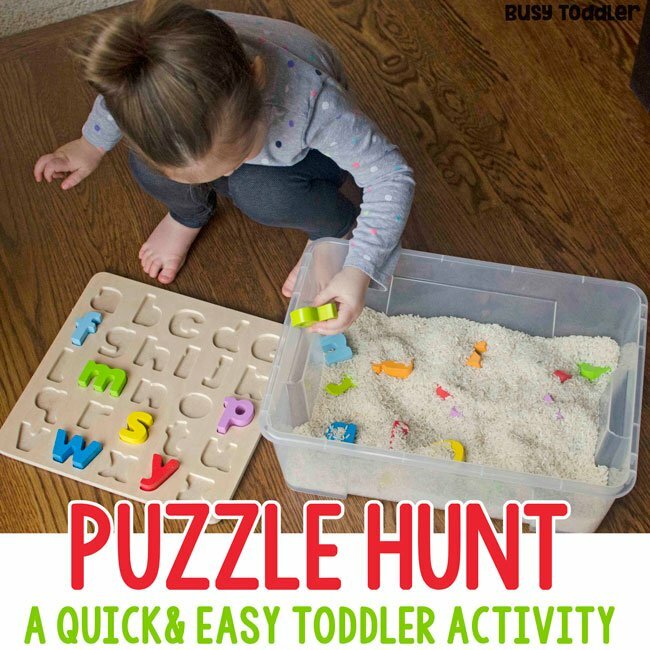 This puzzle hunt sensory bin isn’t the fancies activity but it’s a solid classic that your toddler can play over and over. 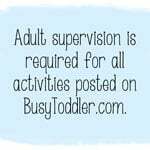 It’s these easy little activities that make toddler life so special and so fun – and helps us parents make it to nap time. 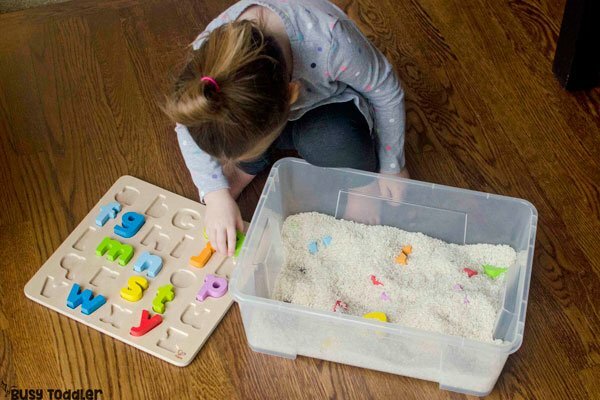 When will you set up this puzzle hunt sensory bin?